Multifamily Utility is a national submetering and billing company that is committed to helping property owners, managers and developers in the state of Rhode Island promote conservation through the use of submetering systems. We offer innovative products that work great for marinas, student housing, multifamily homes, condominium, apartment buildings, new construction and mobile homes. Every system we install is code compliant and would work great for either new construction or retrofit systems. By working with industry leading manufacturers such as Norgas, Neptune, Master Meter, American Meter, IMS and Elster we are able to design submetering systems for any situation. Some of the benefits that come along with installing a code compliant submetering system include better leak detection, stabilized rents, improved property value, reduced operating expenses, less administrative work, and most importantly, conservation. In some cases, where there are space constraints, a property may not be able to have a submetering system installed. If you find yourself in this situation we can help. In the state of Rhode Island it is legal to bill the tenants for utilities. The terms of the agreement has to be included in the rental contract. Not only do we install submetering systems, but we also install customized ratio utility billing systems (RUBS). Ratio utility billing systems are the best alternative to submetering systems and can help you increase your utility cost recovery since they are calculated using your monthly utility bill. Ratio utility billing systems (RUBS) promote conservation throughout the community as a whole which leads to a decrease in overall utility usage. Once a ratio utility billing system has been implemented you can expect utility consumption to decrease by as much as 40%. The great thing about ratio utility billing systems is they can be used for almost all utilities including water, wastewater, electric, gas and trash. 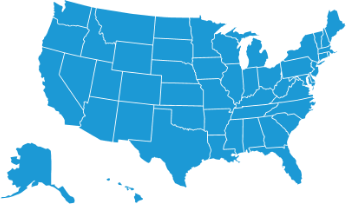 Each state has their own rules and regulations pertaining to the use of both submetering systems and ratio utility billing systems. At Multifamily Utility we work closely with all local, state and national agencies to ensure every system we install is up to code. We also offer a three-tier, full service maintenance program that will ensure your system remains complaint after it has been installed. No matter what type of system you choose, at Multifamily Utility we handle everything so you don’t have to. From system design, to installation, to maintenance and ongoing service we take care of everything. We will even send out notices letting your residents know about the upcoming installation. This will help make the transition process a lot smoother. When it comes to resident and owner customer support we are committed to making sure every client is 100% satisfied. All of our clients have access to our live, bilingual support agents. Every service request is tracked and handled in a very routine and detailed manner. By tracking every request we are able to respond to and resolve all issues in a timely manner. A Multifamily Utility we offer a wide range of products and services in utility submetering, utility management and utility conservation. All of these services are designed to help property owners, managers and developers meet the needs of their properties and deliver results that endure.